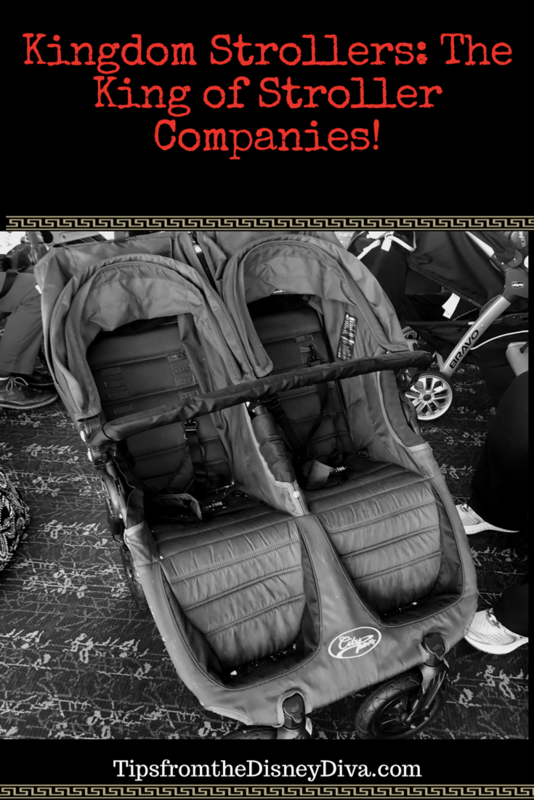 Kingdom Strollers: The King of Stroller Companies! 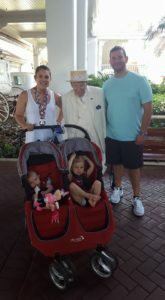 Recently, we went to Disney for the first time as parents of 2! We were VERY much on the fence about what to do about our stroller. 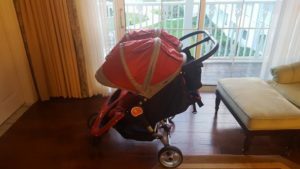 My 2 year old had been to Disney twice previously, but due to my fear of flying and my pregnancy, I drove and packed my car to the brim with all of her things from home, stroller included. This time, we flew because the fear of having 2 kids in the car from Connecticut to Orlando surpassed my fear of flying by a significant amount. 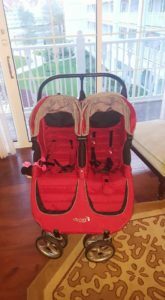 I have a WONDERFUL stroller by UppaBaby, which I love more than anything in the world and if you’re looking for a stroller I HIGHLY suggest it! HOWEVER, I did NOT want my stroller thrown under the plane at the end of the terminal as we boarded the plane and checking it with luggage in a travel bag seemed equally as easy as renting a stroller down in Orlando. 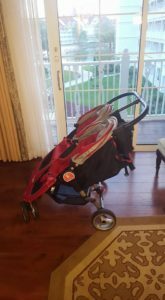 I had seen the Kingdom Stroller vans MANY times at the Disney hotels so I decided to look into renting and it was one of the easiest things I have ever done! 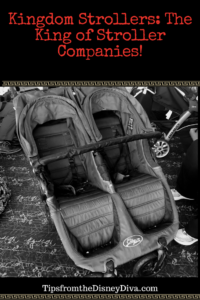 We logged onto their website at kingdomstrollers.com and in addition to single and double strollers we found they also rented cribs and strollers for special needs children. Their prices are fairly reasonable from $40- $140 depending on how long you want to rent for. We purchased the insurance, just in case, and we ordered a case of water as well, and if anyone has ever had the water in Disney you’d know how important bottled water is (so much sulfur!). 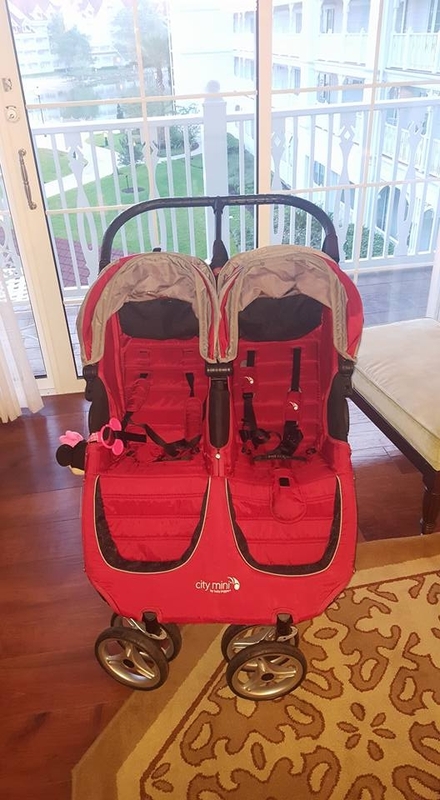 The stroller also came with a cooler and parent console, which held 2 drinks and had an insulated, covered section in the middle along with some elastic netting on the side which held our phones nicely and in the middle section we stored pacifiers, hair ties, or snacks! The rental also comes with a free delivery fee from Orlando Grocery Express (which delivers to the hotel as well). The stroller itself was the city mini double and it was AWESOME. 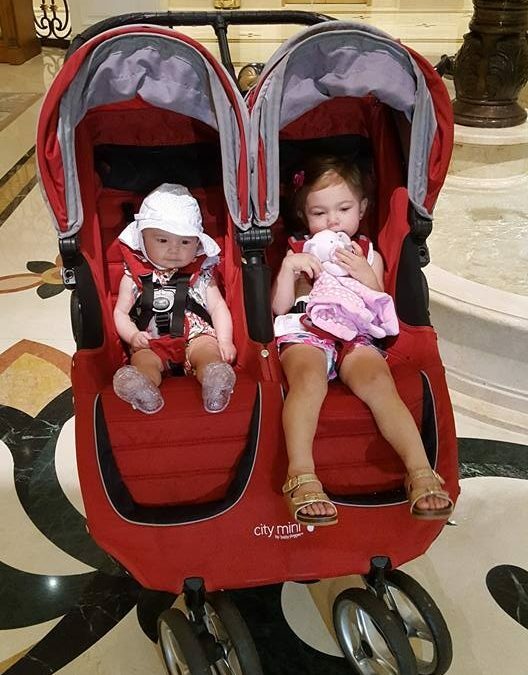 The canopies were HUGE and covered BOTH of my fair skinned girls very well when they were in the strollers. Each individual seat reclined fairly far back for naps. The material never got too hot in the Florida sun AND wiped off easily with spills. It handled beautifully, especially for being a side by side double. I never had any issues getting through doors or smaller walking areas and it never felt bulky. Also, on the buses it folded up with a 1 “tug” of the handles AND unfolded with the release of a clip on the side. It was quick and easy to use on the buses and it stood pretty well on its own so my husband was able to hold it and my 2 year old at the same time. 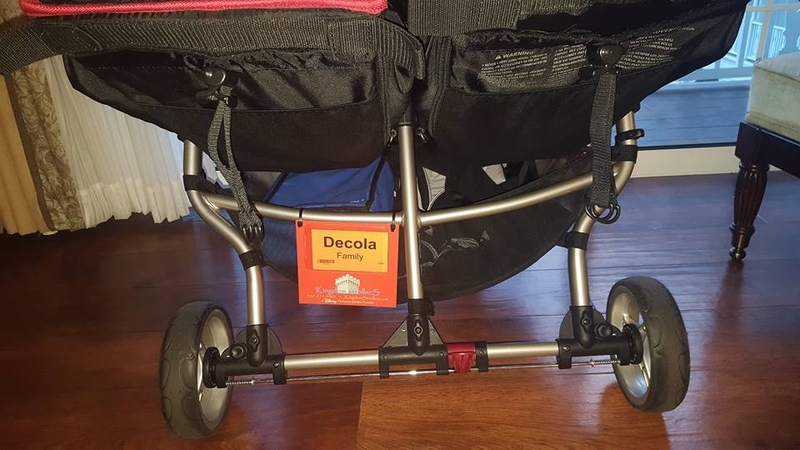 I was a little concerned about not being able to quickly find it in the stroller parking areas because Disney cast members do move your strollers but it was ALWAYS easy to find and came with a sign on the back saying who the stroller “belonged” to. Pick up and drop of were fantastic. We went to bell services as soon as we arrived and the stroller was there waiting for us. 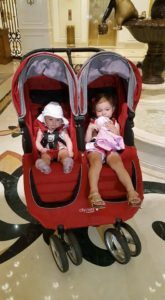 As we roll out of the hotel to get on the Magical Express we dropped the stroller off at the same location and we were on our way. No paperwork, no fuss, just an easy pick up and drop off, which, after spending the day traveling, was SO wonderful. The ONLY thing I didn’t like was the fact that the storage area underneath was NOT very big and difficult to access once the kids were in the stroller. 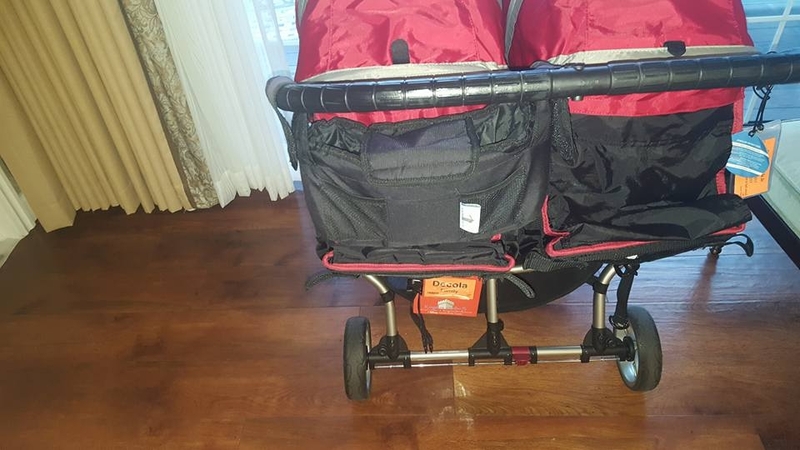 My carriage at home has a HUGE and accessible storage area and I use a clip at home to hang my bags on, which Kingdom Strollers does not offer, and they ask that you do not hang anything on the handles of the stroller. Another downside was not having a stroller at the airport. I had to “wear” my 6 month old and our 2 year old walked or my husband carried her, which was a little bit of an annoyance more than anything else. 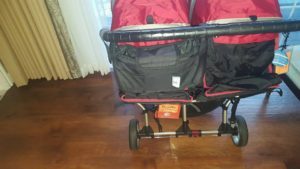 Overall I cannot wait to use Kingdom Strollers again. It was easy and accessible. The stroller was clean and didn’t look like it had been used hundreds of times before. 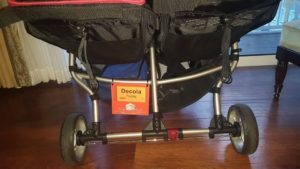 My kids loved it and so did I.
Disclaimer: I am in no way affiliated with Kingdom Strollers and received nothing for this review. I did call Kingdom Strollers to ask permission to use their name in my article. I am just a very satisfied customer, there are other stroller rental companies in Orlando, but only certain companies are allowed to deliver to Walt Disney World Resorts. 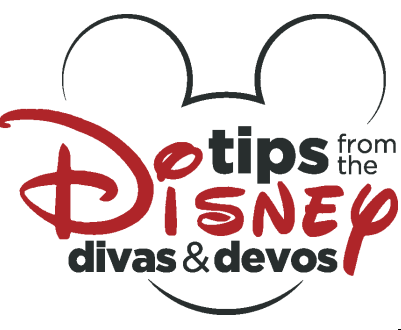 For a list of featured Disney providers, click here.